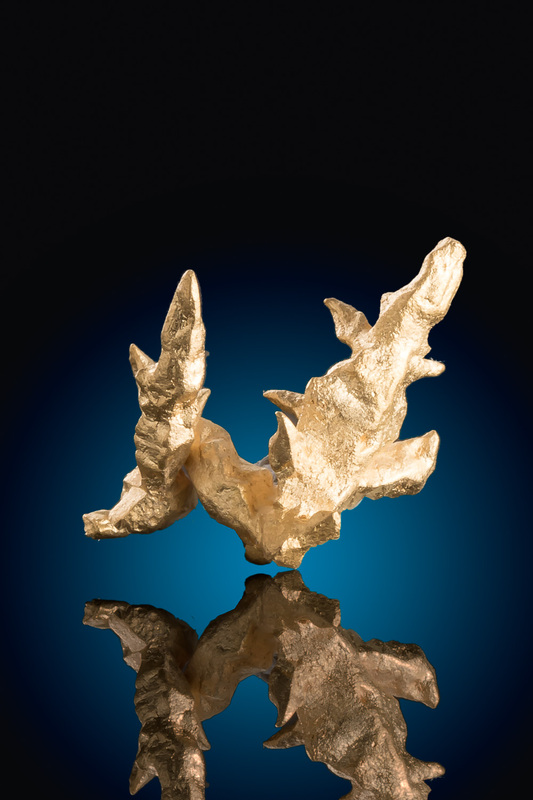 A brilliant and rare gold crystal specimen from the Zapata region of Venezuela. 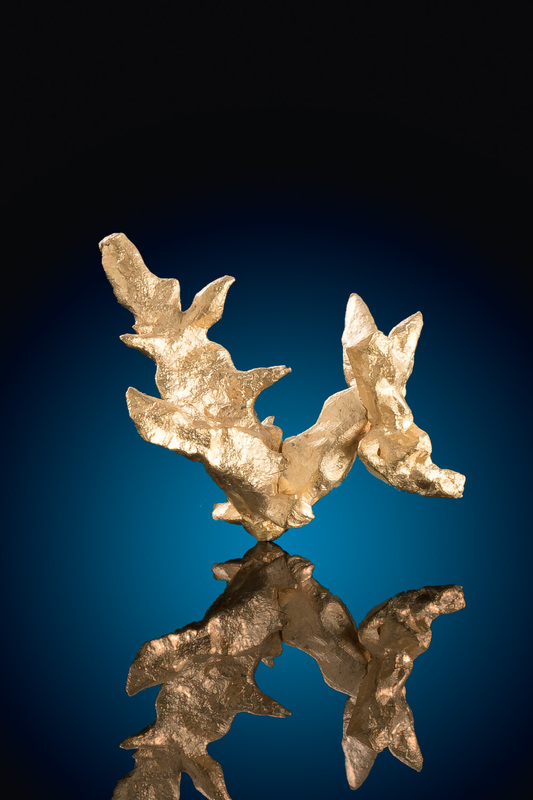 A interesting formation of curved gold with a lot of protruding sharp and faceted gold crystals. 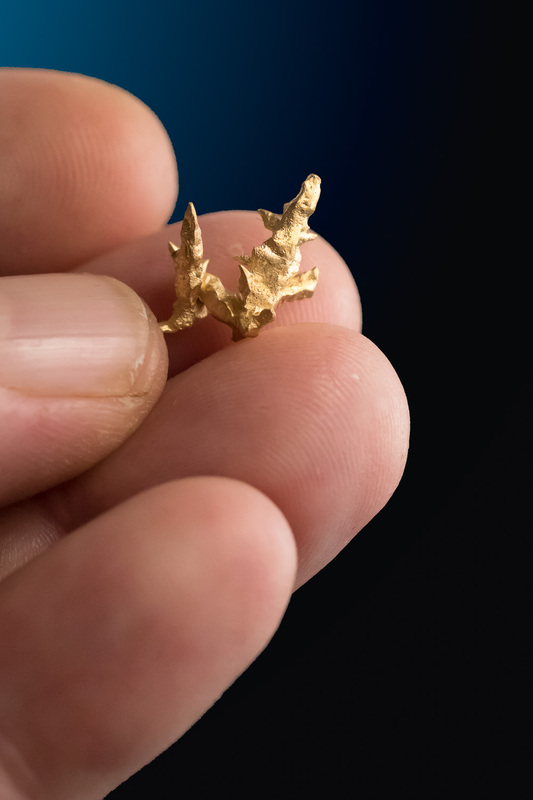 The gold from this region is some of the purest in all of south America and assays around 95%.